The letters of J.C. Parkinson have been passed through the Parkinson-Cumine family for 150 years. They were transcribed by the late Cecily Parkinson-Cumine, grand-niece of James and by Finbar McCormick. Ron Reimer created the web-based version of the letters. They constitute the largest body of letters between Ireland and Australia in the nineteenth century. James Cumine Parkinson was born 1 February 1832 at Killough, near Belfast, Northern Ireland into an upper middle class family. His father was a clergyman of the Established Church from Armagh. The family's income was mostly derived from the rents of the townland of Grangecam near Downpatrick which his mother had inherited. None of the family were involved in farming. 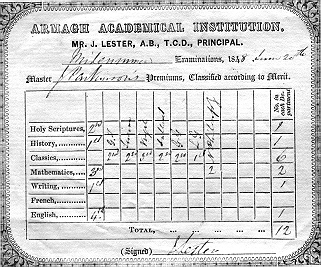 It was originally planned that James should study medicine at Trinity College Dublin but his marks in Classics were inadequate despite having been sent to boarding schools at both Dungannon and Armagh. Finally, his father advised him that the sea was his providential path. In 1851 James began his career as a midshipman. He soon tired of the sea but found it difficult to make an alternative living. He spent several unsuccessful years in the goldfields of Australia during the late 1850s. 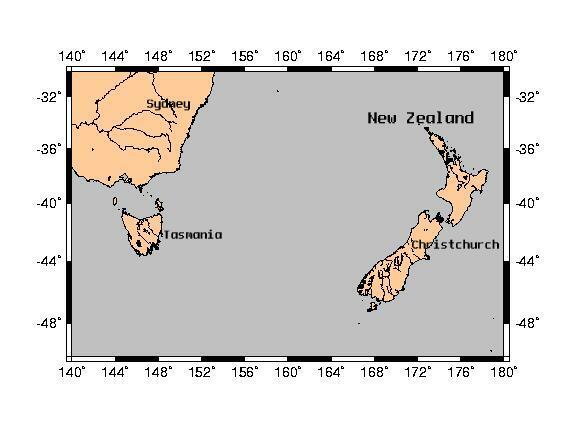 Eventually he ended up in "the colonies" of New Zealand and Tasmania. James married Christina Coates Upton in 1866. As a family man, with a growing family he found the necessity of returning to the sea to earn a livelihood increasingly difficult. 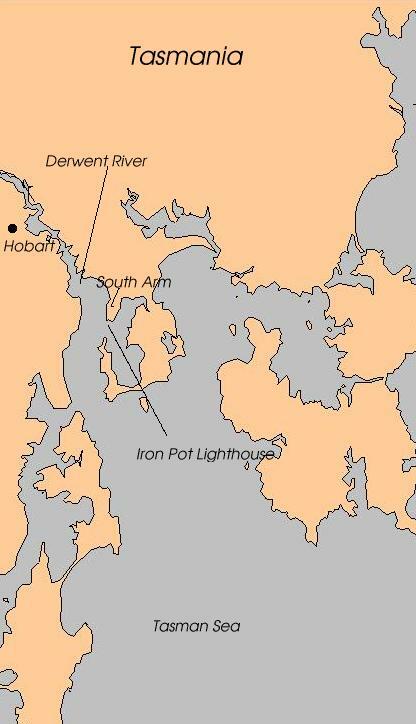 He had a failed attempt at running a grocery, but eventually acquired a post at Iron Pot Lighthouse just offshore from Hobart in 1874, where he remained until his death on July 13, 1887. 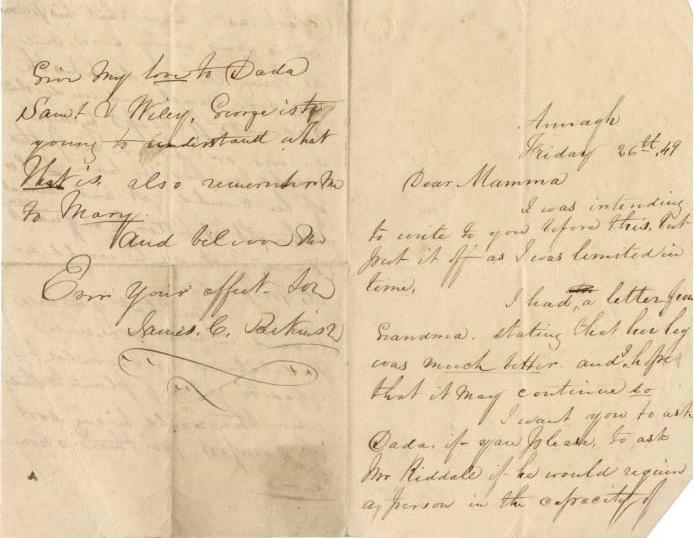 The letters provide a unique insight into the life and mind of a nineteenth century Irish emigrant. He was always a loner. He was bullied in school and found it difficult to befriend other students. He tended to be tactless with people and at the end of his life he wrote to his mother and states that he had few friends. A recurring theme in his letters is remorse for the conflict between his religious beliefs and his wayward ways. Life on a lighthouse suited him and allowed him to indulge in his hobby of jam making, huge quantities of which were sent around the world to his family in Killough.